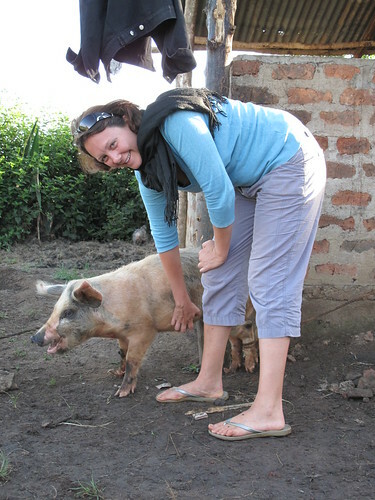 A new study by researchers working with the International Livestock Research Institute (ILRI) is recommending use of ‘bottom-up’ approaches that use the strengths offered by value chain analysis and information economics in assessing the impacts of animal diseases and their interaction with socio-economic and institutional factors in developing countries. Authors Karl Rich, from the Norwegian Institute of International Affairs (NUPI) and on joint appointment with ILRI and Brian Perry, an honorary professor of veterinary medicine at the Universities of Edinburgh and Pretoria and formerly a leader of ILRI’s research team on animal health and food safety for trade, say economists and epidemiologists need to work more closely in assessing the impact of animal diseases. They recommend use of ‘participatory disease surveillance’ approaches that feature models of disease assessment that consider the context in which animal diseases occur and how they affect markets, livelihoods and poverty reduction especially in developing countries where livestock serve diverse commercial and cultural roles which affect disease control efforts. The paper also recommends harmonizing divergent incentives among different stakeholders in developing countries noting that, for example, integrating the views of political economy and institutions engaged in animal health research will help to focus more broadly and systematically on incentives and the behaviour of those institutions and political actors, thereby helping researchers to better understand the economic impact of diseases. 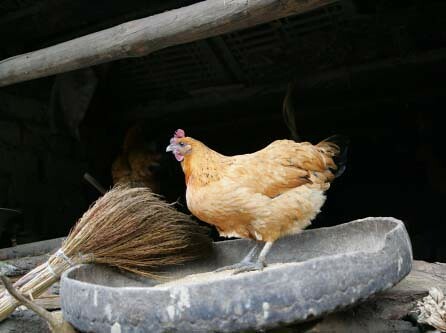 The paper reviews the livelihoods and poverty impacts of animal diseases in the developing world, with a focus on Rift Valley fever, highly pathogenic avian influenza (HPAI) and foot and mouth disease. The paper also analyses the effects of these diseases through a poverty and value chains perspective and highlights ways that lessons from these perspectives can be aligned with disease control initiatives. Rift Valley fever outbreaks are common in eastern Africa, especially after heavy rains, which lead to rises in numbers of mosquitoes that spread this viral zoonotic disease. 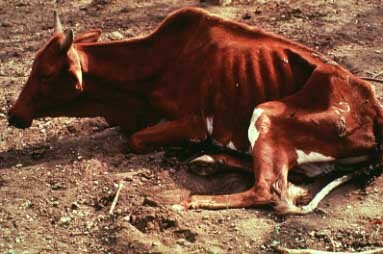 Rift Valley fever affects cattle, sheep, goats and camels but also infects and kills humans. 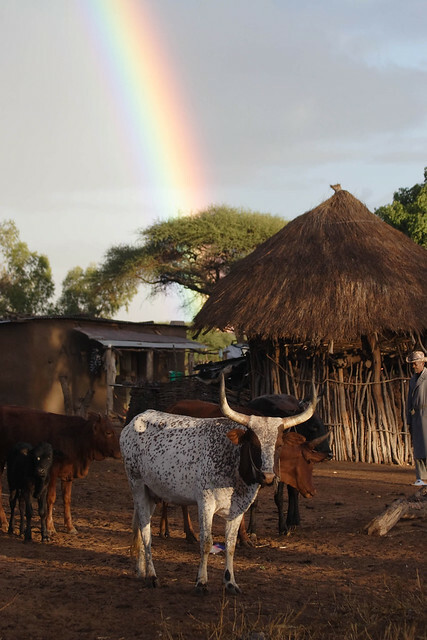 A recent outbreak of the disease between 2006 and 2007 killed more than 100 people in Kenya and led to significant loss of animals and livelihoods, especially for pastoralist livestock keepers. 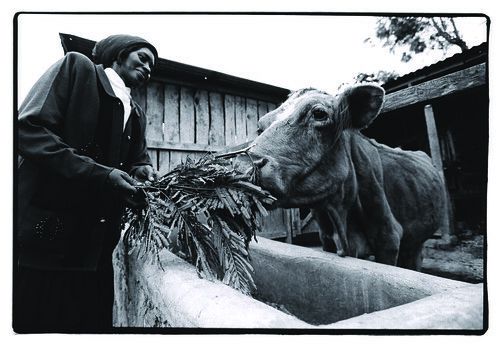 The authors call for a holistic look at the livestock sector as a system of interacting actors, each with their own values and constraints. They say that frameworks such as those offered by value chains can help identify the impacts that animal diseases generate. The value chain framework’s emphasis on relationships, characteristics and dynamics among actors, can help identify not only who is impacted by animal disease but also how and why they are affected and how different actors might behave and adjust in response to disease outbreaks. This piece is adapted from an original story posted on the Market Opportunities Digest blog written by Tezira Lore, communications specialist for ILRI’s Markets Theme. 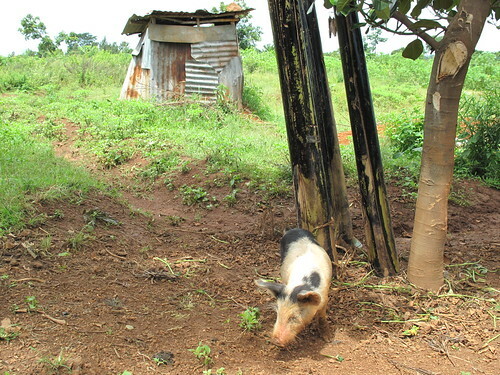 Animals and people live close together throughout the developing world. Chickens, goats, pigs, cows and other farmed animals range freely in and out of rural homesteads as families go about their daily lives. This space-sharing by people and their livestock makes good use of the small plots of land managed by the world’s many smallholder farmers; food that might otherwise go to waste can be fed to the animals, for example, while animal manure feeds the cropland by fertilizing it. Most of the world’s smallholder farmers depend on their animals for milk, meat and eggs to feed their families, with the surplus generating much-needed regular household income. However, such close proximity to their animals puts many people at risk of ‘zoonotic’ diseases, which are those transmitted between people and animals. Remarkably, more than 60% of all human diseases are infections they can get from animals and more than 70% of today’s emerging diseases, such as bird flu, are zoonotic. Because human and animal health are particularly intertwined in poor countries where people and livestock live in such close proximity, efforts to improve human health in the developing world need to focus on improving animal as well as human health. This makes it necessary for medical and veterinary experts to collaborate and for livestock farmers and herders to be made aware of the disease risks their animals pose to the health of their households. 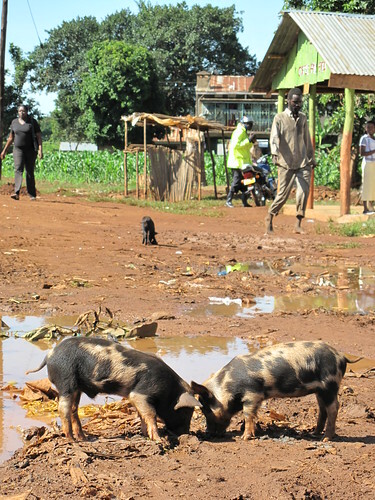 A project begun in 2009 and funded by the Wellcome Trust, with other support from the International Livestock Research Institute (ILRI), is studying neglected zoonotic diseases and their epidemiology to raise levels of health in poor rural communities. The project, People, Animals and Their Zoonoses, is based in Kenya’s Busia District, which sits on the country’s western border, with Uganda. Eric Fèvre, who is working jointly for the International Livestock Research Institute (ILRI) and the University of Edinburgh, is the project’s principal investigator and leader. Fèvre says this study is important. The Kenya zoonotic study is a four-year project that brings together ILRI scientists in Kenya with researchers from the School of Biological Sciences at the University of Edinburgh and from the Kenya Medical Research Institute, the latter of whom are already working in much of Kenya’s Western and Nyanza provinces. These epidemiologists, veterinarians, medical health professionals and laboratory technologists will visit over 500 homesteads in Busia to collect data and samples from people and livestock; those people found ill will be treated or referred to specialists. The project data will be used to quantify the place of zoonoses in the context of other infectious diseases and to refine our understanding of factors that put people and livestock at risk. The study team also aims to come up with diagnostic tests that can be used in the field and to design cheap, easy-to-implement health interventions for both people and livestock. The project is focusing on bovine tuberculosis, cysticercosis, brucellosis, Q-fever, Rift Valley fever and trypanosomiasis (in cattle) /sleeping sickness (in people) and their impacts on both livestock and the people. 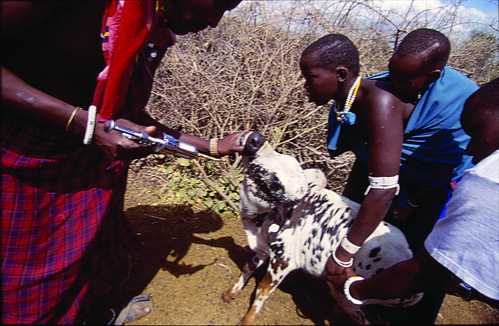 The results of this project are expected not only to improve the health aspects of the relationship between people and their livestock in western Kenya but also to provide important background for future research and policymaking on zoonotic issues. The May 2010 issue of the Veterinary Record gives an excellent account of this ambitious human-animal health project: http://veterinaryrecord.bvapublications.com/misc/about.dtl (subscription required). Zebra and wildebeest in Kenya’s Masai Mara Game Reserve (photo credit: ILRI/Elsworth). The New York Times and other media are reporting this week that one of the greatest wildlife spectacles on earth—the annual migration of nearly 2 million wildebeest and zebra from the drying savannas of the Serengeti, in Tanzania, to the wetter, greener, pastures of Kenya’s adjacent Masai Mara, and back again—is threatened by a proposed new national transit road for northern Tanzania that would cut right across the migration route of these vast herds of ungulates, likely leading to the collapse of this migration and possibly the crash of this ecosystem as a whole. Kenya’s Masai Mara is the only year-round water source in the Greater Serengeti, and thus serves as critical dry-season grazing grounds for these vast herds of big mammals. Just one of the problems such a road would bring is a greater disease burden to people, livestock and wildlife alike. In her extensive and useful research notes to her recent article, ‘Road Kill in the Serengeti’, in the New York Times, Olivia Judson refers readers to a scientific paper written by Eric Fevre, of the Zoonotic and Emerging Diseases research group at the University of Edinburgh, now based at the International Livestock Research Institute (ILRI) in Kenya while working on a 3-year human-animal disease research project in Busia District. Fevre describes the spread of animal diseases through animal transportation in his article, ‘Animal movements and the spread of infectious diseases’ (Trends in Microbiology, 2006). Perhaps just in time, just this month former ILRI ecologist Robin Reid, now director of the Center for Collaborative Conservation at Colorado State University, in Fort Collins, USA, began a project in Kenya that is putting radio collars on wildebeest to learn more precisely what routes the animals take in their migration. This project’s members are involving Maasai schoolchildren, who are naming the wildebeest, which they will then be able to follow. The wildebeest collars send regular tracking signals to Safaricom, which are then sent to Colorado, where the routes are posted on a web map that the schoolchildren can follow. The first population of wildebeest that Reid’s team darted and then tagged with radio collars in the Mara is the Loita group that remains resident in Kenya all year round. Or so the researchers think. The radio collars, now fixed on the first 15 wildebeest, have already started to report back and will be letting scientists, and those schoolchildren, know just where they go, and when. Reid’s return gave ILRI cause to revisit two remarkable films about her ILRI research in the Mara. Counting in a Disappearing Land (ILRI, 11 minutes, 2007) describes Reid’s project with a Maasai community that has traditionally herded their livestock in Kenya’s wildlife-rich Masai Mara region. This ILRI project was looking to find ways of balancing the needs of people, lands and wildlife. In The Great Migration (CBS ’60 Minutes’, 15 minutes, October 2009), Scott Pelley interviews Reid about the threats to this natural spectacle and the part local Masai are playing to address these threats. Collaborative conservation may indeed be the answer to saving the Serengeti ecosystem. Protecting majestic wild places and the wildlife they support, places that instill wonder in us, matters, of course, but so does protecting millions of people from severe poverty, chronic hunger and the afflictions that come in their wake: disease and untimely death. With a large percentage of its land area under protection, Tanzania is a world leader in biodiversity conservation. It is also very, very poor. How this tug at resources—whether the Serengeti Plains will be used for wildlife tourism or other kinds of commerce—will play out may depend on how much the local communities living in poverty near the wildlife benefit from saving this, the last of the great migrations of big mammals on Earth. An alternative, southern road in Tanzania is discussed on a webpage of the Frankfurt Zoological Society. 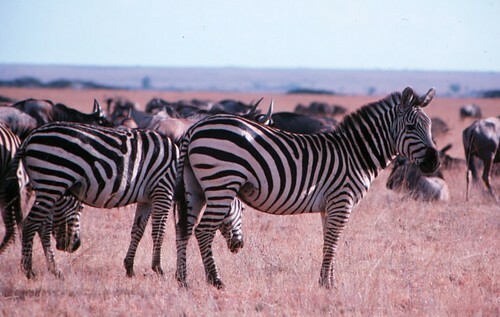 See Paul Kirui’s blog on 17 June 2010 the migration on Masai Mara Updates.